BE READY TO FIGHT FIRE! Our qualified technicians maintain and install your fire extinguishers in accordance with the National Fire Code (NFC) and also do their work in compliance with NFPA-10 ( National Fire Protection Association). All our services include a certificate of conformity and an unmatched peace of mind. Fire extinguishers do not have to be brought to our workshop every year. Only if they are empty or if a hydrostatic refill or test is required (usually every 5 or 6 years). 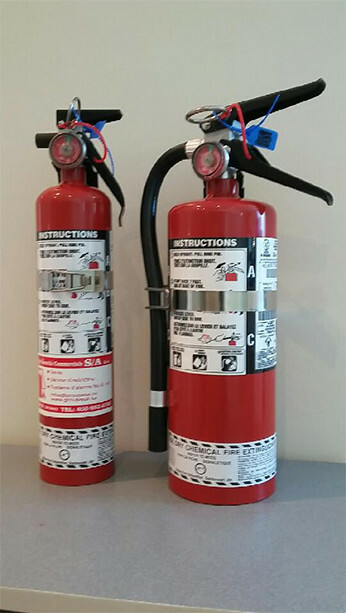 If we need to bring your fire extinguishers, Groupe S/A will lend you a fire extinguisher while yours is checked and repaired.